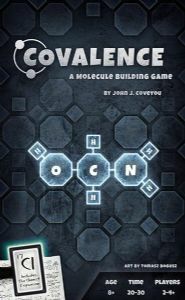 ​​​​​​​In Covalence, players work together to accurately reconstruct a number of secret organic compounds. 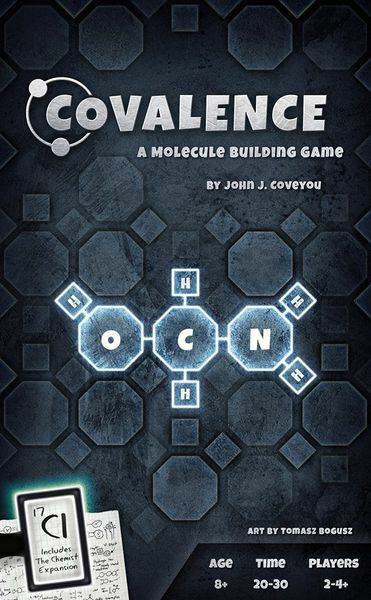 One player takes on the role of the “Knower” who has knowledge of the secret compounds, while all other players, “Builders”, must deduce what these secret compounds are, based upon clues given to them by the Knower. All Builders must cooperatively utilize a limited number of clues available in order construct their compounds before the clues run out!